According to legend, Cadiz was founded by Hercules who also supposedly created the nearby Straits of Gibraltar. However, most scholars believe that the city was started as a trading post by the Phoenicians as early as 1100 B.C. 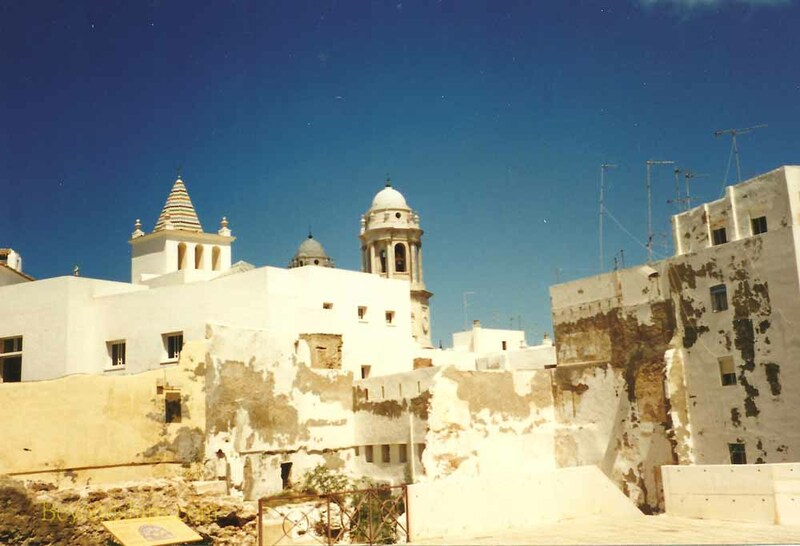 As a result, Cadiz claims to be the oldest continuously inhabited city in Western Europe. The Phoenicians were followed by the Carthaginians in 511 B.C. However, when the Carthaginians were defeated by the Romans in the Second Punic War, Cadiz became a Roman city. The remains of a large Roman theater were discovered in Cadiz in the 1980s. 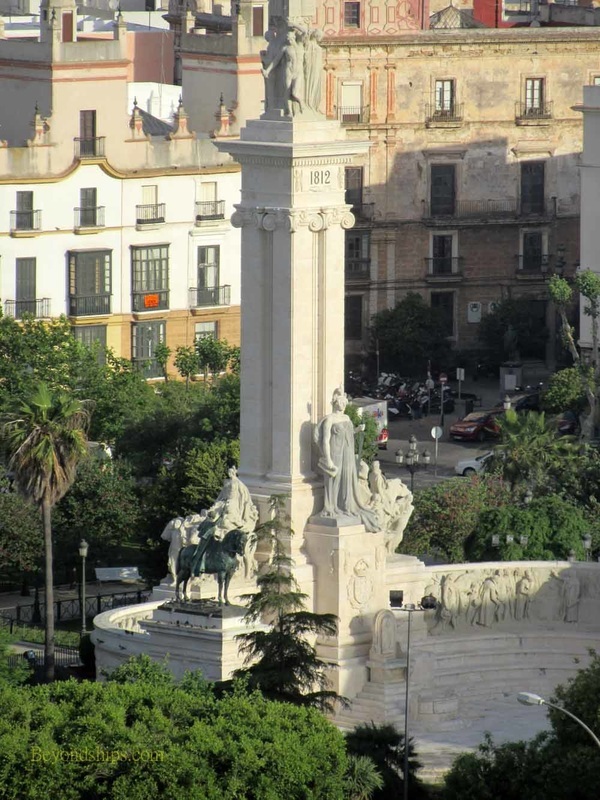 Cadiz was captured by the Visigoths in the 5th century. The Moors occupied Cadiz from 711 A.D. To 1262 when King Alfonso X of Castile brought it under Spanish control. The Age of Discovery led to a golden age in Cadiz. Christopher Columbus launched his second and fourth voyages to the New World from Cadiz. Subsequently, Cadiz became an important base for the Spanish treasure fleet. And when Seville ceased to be a viable port for ocean going ships in the 18th century, Cadiz became the center for trade with the Americas. The city became rich and cosmopolitan. Cadiz's rise attracted Spain's enemies. The Barbary pirates launched a series of attacks. However, the attacks by Spain's great enemy England were much more signifigant. To delay the build up of the Spanish Armada, Sir Francis Drake attacked in 1587. He occupied the city for several days and burnt ships in the harbor which delayed the Armada's attack on England by a year. The Earl of Essex led a successful attack in 1596, again occupying and looting the city. Unsuccessful English attacks followed in 1625 and 1702. During the Napoleonic Wars, Spain at first sided with Spain and the combined French and Spannish fleets sortied from Cadiz only to be defeated by Admiral Lord Nelson at Trafalgar. After Napoleon attempted to place his brother on the throne of Spain, Spain joined with Great Britain to fight Napoleon. Cadiz was one of the few Spanish cities to successfully resist French occupation and Cadiz became the de facto capital of unoccupied Spain. During this time, liberal thought took hold in Cadiz. The Cortes (parliament) issued a new liberal constitution in 1812. Absolute monarchy returned to Spain following the defeat of the French. However, Cadiz continued to be a center of the liberal movement during the 19th century. The 19th century saw the loss of Spain's colonies in America. This led to a decline in Cadiz's fortunes. Further colonial losses following the Spanish-American War accelerated Cadiz's decline. During the Spanish Civil War of the 1930s, Cadiz was occupied by the Nationalists, who brought in reinforcements from Spanish Morocco through the port. Above: Excavations of the Roman Theater. Below: The monument to the Constitution of 1812.